This handcrafted steel bell features a green sand-textured finish, handcrafted steel bell has bold tones and a dramatic look. 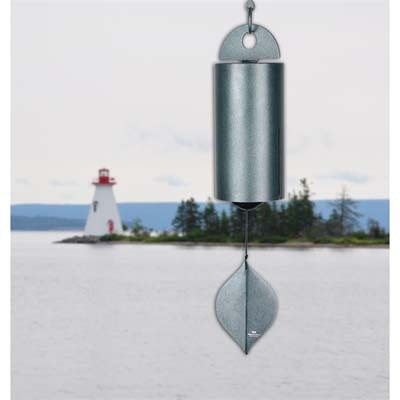 The sand-textured finish will blend beautifully in a garden..
Seafoam green sand-textured steel bell, green aluminum windcatcher, black finish ash wood clapper. This handcrafted steel bell features a green sand-textured finish, handcrafted steel bell has bold tones and a dramatic look. The sand-textured finish will blend beautifully in a garden.